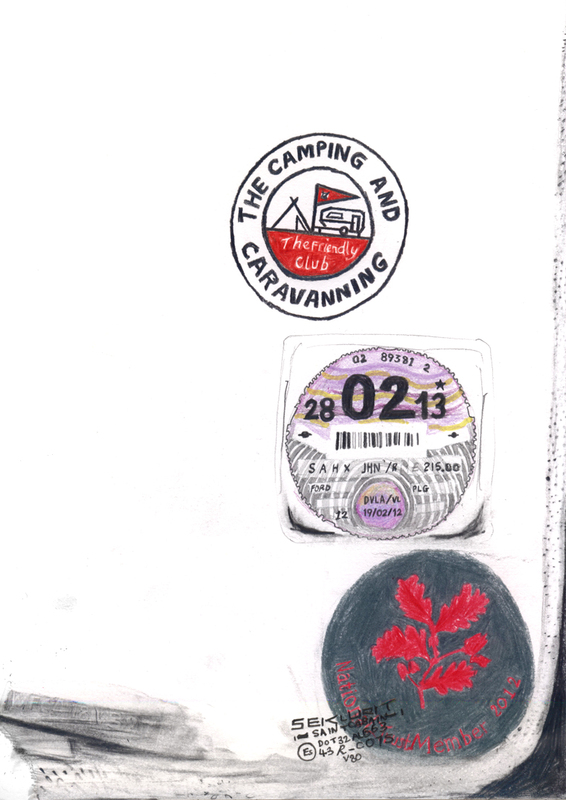 Today's drawing shows my parent's collection of circular stickers on the windscreen of their camper-van. Since retiring, my parents enjoy a leisurely existence of camping and visiting heritage sites. If they get a classic fm / saga sticker the set will be complete. Cinema Sushi & other stories. Local News for Local Dogs.